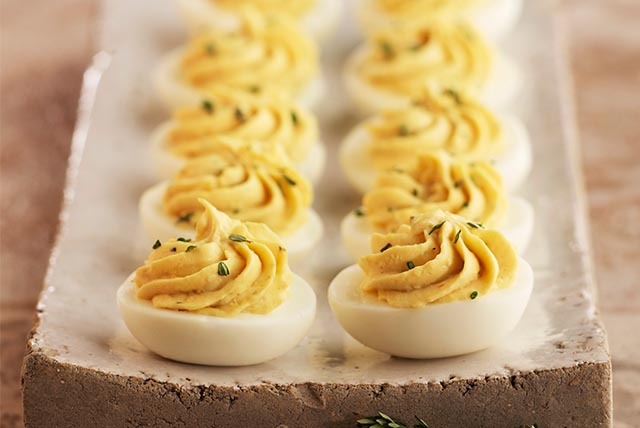 Deviled eggs are the stars of the brunch buffet, the potluck party and every other occasion where creamy, crowd-pleasing deliciousness is called for! 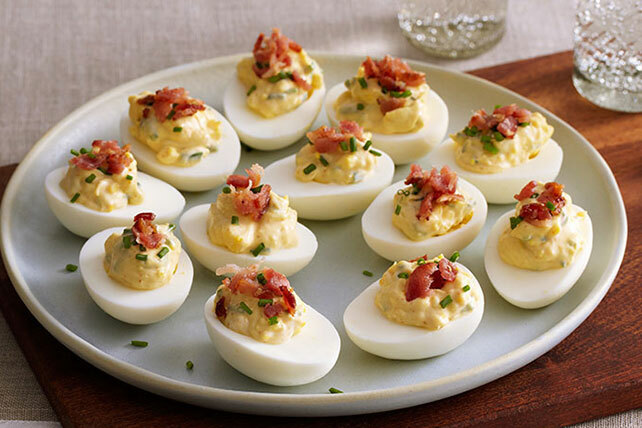 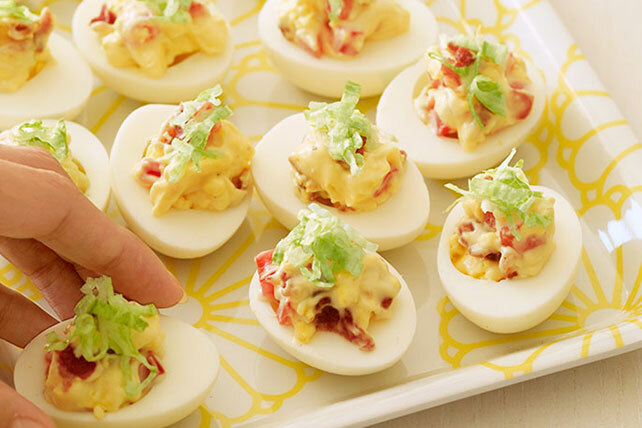 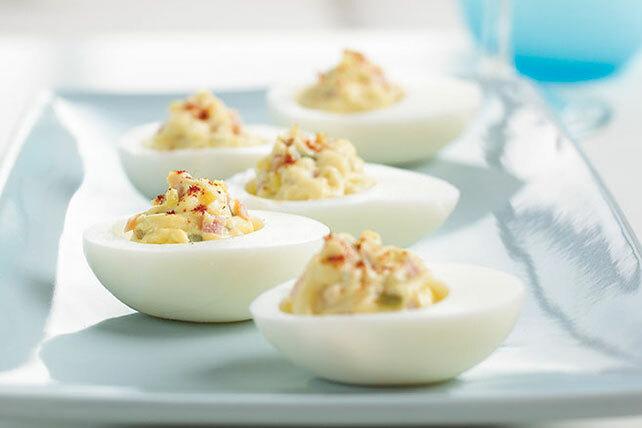 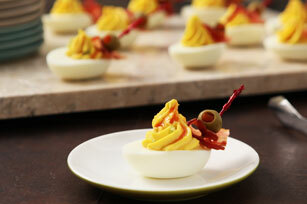 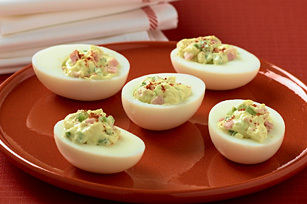 Deviled egg can be truly devilish or mellow, topped with bacon or chives (or both). 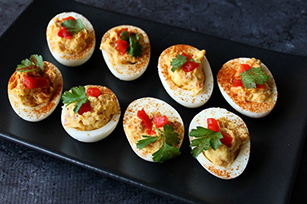 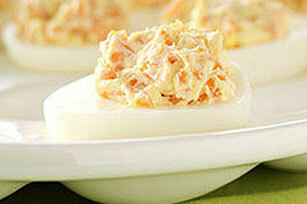 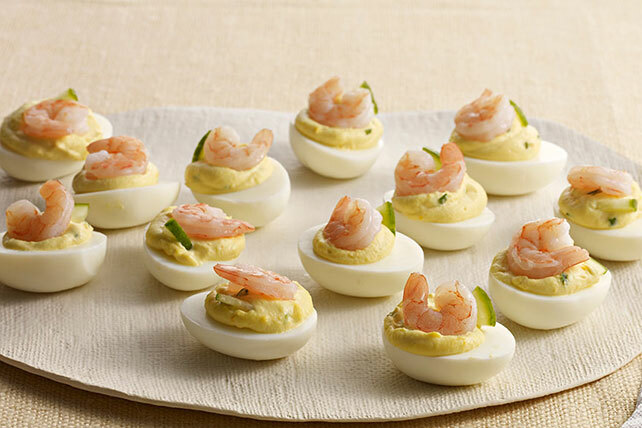 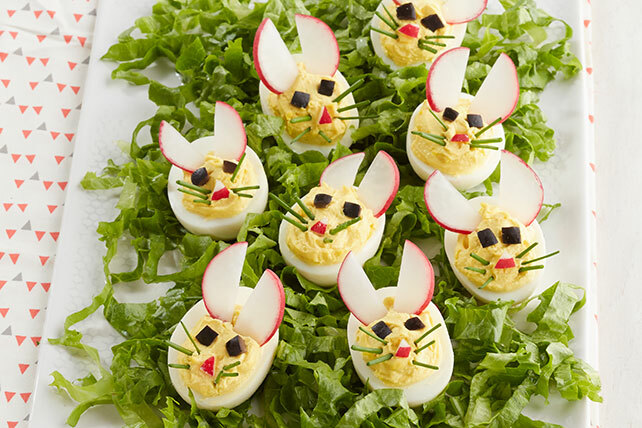 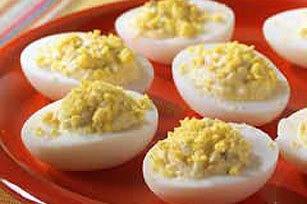 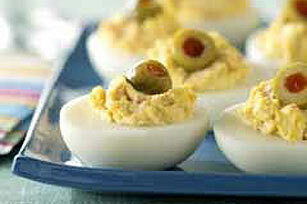 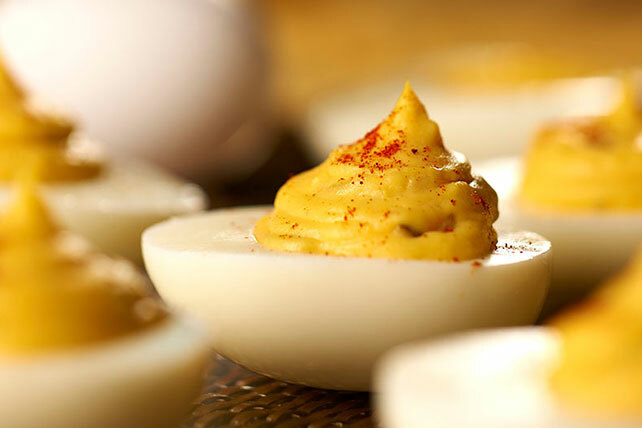 Here at My Food and Family we even have Healthy Living deviled egg recipes! 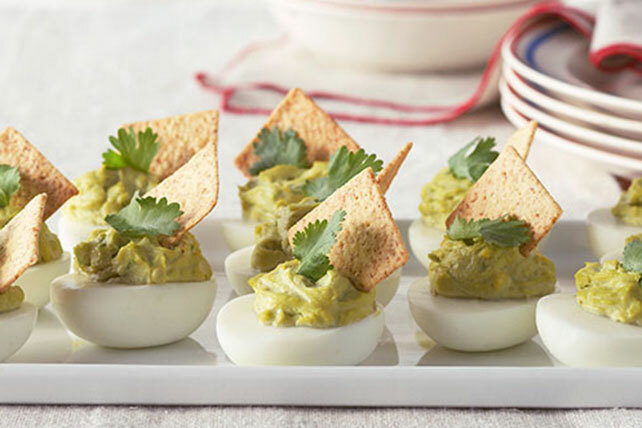 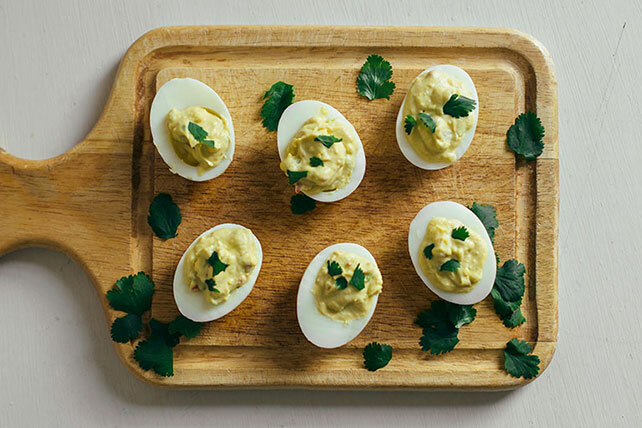 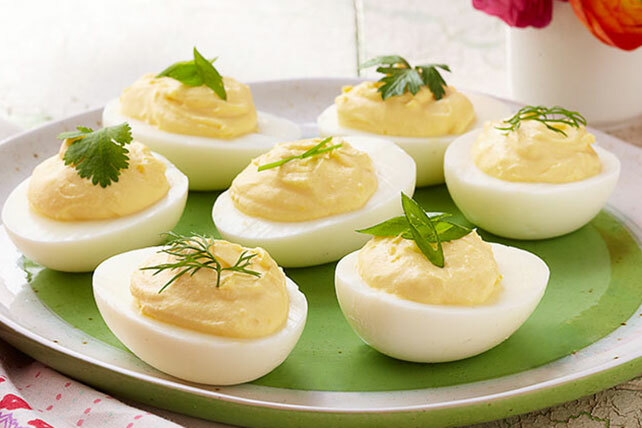 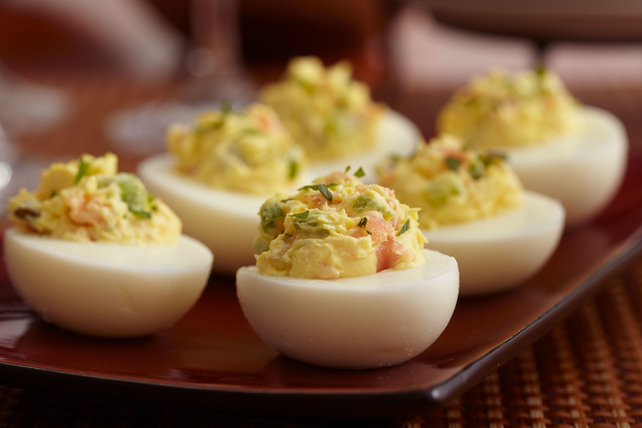 This versatility can be put to the test when you have extra hard-cooked eggs from your Easter egg hunt: deviled eggs will help keep those pretty dyed eggs from going to waste!